Yes Commissioners… we’ll do whatever you say. This post will give an insight into the workings of the Crofting Commission when, contrary to their own policies and procedures, they proceeded to appoint grazings constables illegally. It will also highlight how incompetent such appointments are. 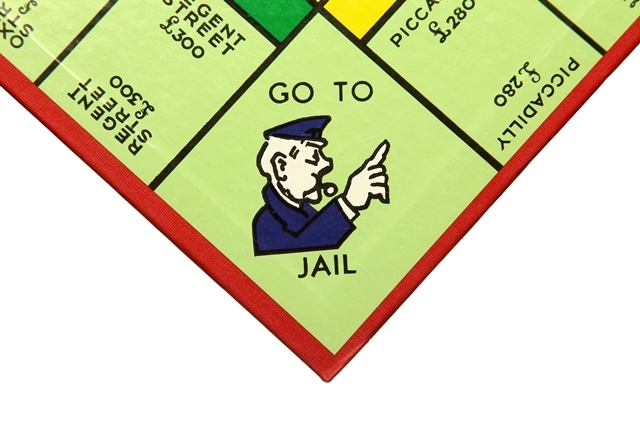 All three cases involving the appointment of illegal grazings constables centred around monies that certain shareholders believed should have been paid to them and the Commission’s insistence that such monies should indeed have been paid out. After discussion, the Commission agreed that the [name of Grazings Committee] would be written to and given 28 days to pay the money due to the shareholder. If after the 28 days have passed, they have failed to pay the money, the Committee and Clerk will be removed and a Constable appointed with the sole function of paying the monies due. The appointing of the Constable will be decided by the Convener, Vice-Convener and Chief Executive. Discussion took place about how the Constable would be able to sign cheques on behalf of the Grazing Committee and the Commission agreed that the Order issued to the Grazing Committee advising them that they have been removed from office should be worded clearly enough to maximise the ability of the Constable to access funds. However, the Commission cannot guarantee that the bank will accept the Order. The Commission will not get involved in any matter relating to alleged financial impropriety. This is potentially a civil and/or criminal matter and should be dealt with by the relevant authorities. Thus they breached their own policies and procedures and acted without any power to do so in ordering the grazings committee to make payments. That is the case whether or not such payments were legitimately due and payable to the shareholder in question. That would have been a matter for that shareholder to pursue, as they considered appropriate, through the civil or criminal justice system. It is interesting (and perhaps somewhat alarming) that the Crofting Commission decided that this particular grazings constable would be appointed “with the sole function of paying the monies due“. 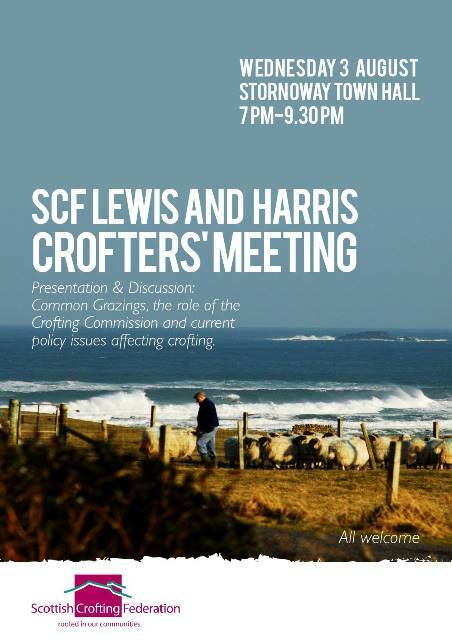 Whilst the Crofting Commission have no power under and in terms of the Crofters (Scotland) Act 1993 to appoint a grazings constable to do a specific task ordered by them it is alarming that they would think, under any circumstances, that this would be a sensible approach to take. A grazings committee and grazings clerk will potentially have many tasks to fulfill. By putting a committee out of office and not making appropriate and legal arrangements to allow those tasks to be continued the Crofting Commission is clearly evading its responsibilities as a regulator and acting in a highly irresponsible fashion. The Convener of the Crofting Commission was at the ready to put in place a grazings constable who would pay out the monies if the first constable appointed to do so “has any difficulty and backs out“. The only ability for the Crofting Commission to appoint a grazings constable falls under section 47(3) of the 1993 Act. This is where the crofters who share in a common grazing fail at any time to appoint a grazing committee. An illegally appointed grazings constable whose actions would be null and void should, of course, be let no where near a cheque book! The Crofting Commission however, knowing that they couldn’t guarantee that a bank would accept the position, decided that they would frame an Order as best they could to persuade a bank to do so! if a purported constable takes as much a penny piece from the crofters sharing in the common grazing, with intent permanently to deprive them of that money, he is at serious risk. 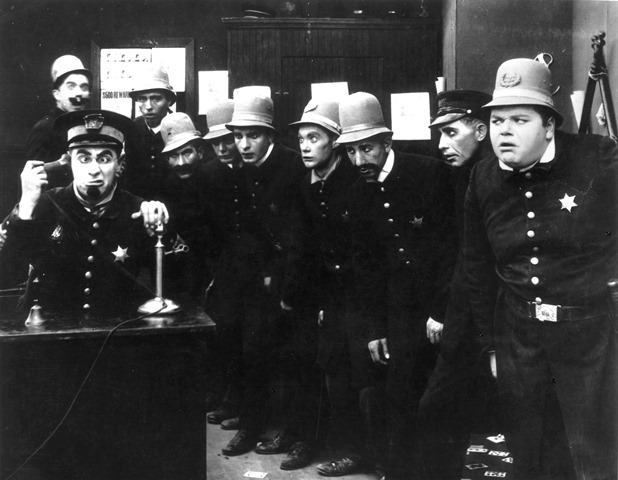 This farcical state of affairs would, unfortunately, not be out of place in a Mack Sennett comedy. No wonder that there have been calls for the Scottish Government to investigate and for the Convener to consider his position. This entry was posted in Uncategorized and tagged cheque book, Common Grazings Committee, common grazings shareholders, Convener of Crofting Commission, Crofters (Scotland) Act 1993, Crofting Commission, crofting regulation, Croftstone Cops, Grazings Clerk, Grazings Constable, Grazings Constables, Keystone Cops, Mack Sennett, policies and procedures, section 47(3) of the Crofters (Scotland) Act 1993, section 47(8) of the Crofters (Scotland) Act 1993, shareholders in the common grazings on July 30, 2016 by Brian Inkster. Do I really need to climb in there with the rest of the mess? In my last post I looked at how the Crofting Commission’s own policies and procedures made it clear that grazings constables could not be appointed in law when a grazings committee were removed from office. Clarification in section 47 of the 1993 Act that if the Commission removes a grazings committee from office, the Commission can appoint a constable in its place and a right to suspend (as well as remove) grazings committees for a period of time to be determined by the Commission. Thus they were looking, as part of ‘The Sump’, for legislative change by the Scottish Government to enable them to do these things. Despite knowing that they didn’t have the power to do so they had, by this stage, already appointed one illegal grazings constable (Mangersta Common Grazings) and were to go on to appoint two more (at Upper Coll and on the Scottish mainland). This entry was posted in Common Grazings, Crofting Commission and tagged Common Grazings Committee, Crofters (Scotland) Act 1993, Crofting Commission, Crofting Law Sump, Grazings Committee, Grazings Constable, Grazings Constables, Mangersta, Mangersta Common Grazings, Mangersta Common Grazings Committee, policies and procedures, Scottish Government, section 47(8) of the Crofters (Scotland) Act 1993, Upper Coll, Upper Coll Common Grazings, Upper Coll Common Grazings Committee on July 26, 2016 by Brian Inkster. The Crofting Commission knew that if they removed grazings committees from office they couldn’t legally appoint grazings constables. Their own policies and procedures dating from 5 August 2015 said so yet they have contravened those on at least three occasions since 9 December 2015. A Report by the Chief Executive of the Crofting Commission [PDF], Catriona Maclean, was put before a meeting of the Crofting Commission on 5 August 2015. This report considered the rationale for the Commission appointing grazings constables and what requirements need to be considered when so doing. the Commission to directly appoint a constable as a substitute for the grazing committee. This paper was approved by the Crofting Commission at their meeting on 5 August 2015 [PDF]. The Commission has previously accepted that a grazing constable is not appointed at this stage. A complaint workflow was also introduced in this latest paper with no mention of the appointment of a grazings constable in such circumstances but instead, as per the law, the appointment of a new clerk and members of the committee. This complaint workflow was adopted by the Crofting Commission [PDF] at their meeting on 4 May 2016 [PDF]. Thus the Crofting Commission were fully aware and accepted that if they removed a grazings committee from office they could not legally replace them with a grazings constable. That position accords with my own view on the matter and also the view held by Donald Rennie. However, despite this they proceeded to remove two grazings committees in Lewis and one on the Scottish mainland and appoint grazings constables in their place on 9 December 2015, 3 May 2016 and 10 May 2016 respectively. In so doing they acted contrary to their own policies and procedures and, it is assumed, contrary to the legal advice that they had received. Thus they, as I and Donald Rennie have maintained, acted illegally. What is now clear is that they acted illegally in the full knowledge that they were so doing. In light of this astonishing behaviour on the part of the Crofting Commission serious questions must now be asked by the Scottish Government as to how and why this happened. Furthermore, the continuing position in office of whoever took the decisions to appoint grazings constables contrary to accepted policy, procedure and the law must now be in question. This entry was posted in Common Grazings, Crofting Commission and tagged Chief Executive of the Crofting Commission, Common Grazings Committee, Crofters (Scotland) Act 1993, Crofting Commission, Crofting Commission Policy, Donald Rennie, Grazings Committee, Grazings Constable, Grazings Constables, Honorary President of the European Council for Rural Law, policies and procedures, Scottish Government, section 47(8) of the Crofters (Scotland) Act 1993 on July 25, 2016 by Brian Inkster.